Today, I’m going to write a book review. If you’re familiar with this blog, you’ll be shocked to learn that the book I’m reviewing exists and that I’ve read it, which I’m pretty sure is what people who write actual book reviews do when reviewing actual books. It’s 1965, and things are looking pretty grim at Sterling Cooper Draper Pryce (SCDP), the fictional advertising agency featured on Mad Men. Partner Pete Campbell has just sabotaged a lucrative new contract with North American Aviation in order to avoid a background check that would reveal secrets that might result in jail time for senior partner Don Draper. Even worse, they’re about to lose their largest client, Lucky Strike cigarettes. Can the agency survive? I think it can, with a little help from some of its contemporaries: this series of five crossover episodes with 1960s-era TV shows should put SCDP back on track. Thanks to everyone who commented on the “vampire bees” post; some of the stories about zombie bees and similar creatures inspired this list of hypothetical horror movies. Sharks are scary, and werewolves are scary, so what could be more frightening than a shark werewolf? 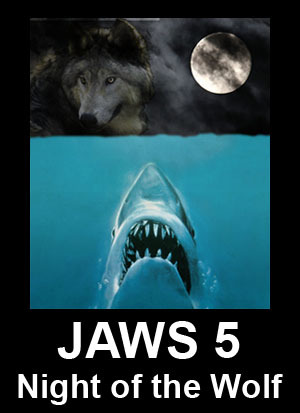 This 3D IMAX movie features some breathtaking underwater visuals but ends somewhat abruptly after the first full moon, when the shark turns into a wolf and drowns. Hitchcock’s classic The Birds meets, well, any zombie movie ever made. 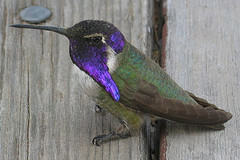 Zombie hummingbirds terrorize an isolated coastal town; however, because hummingbirds need to flap their wings very rapidly to fly, and zombies move very slowly, all these creatures can do is sit and stare at passers-by. Still, this behavior is pretty creepy, and some people do sustain injuries tripping over the birds. Here’s a little flowchart to help you decide what movie to see this weekend (updated because Jens reminded me that Primer exists).